Nobody knows your Toyota like Ryde Toyota. We are conveniently located on Victoria Road, West Ryde with a priority taxi service, bus stops heading east and west right outside and a short walk to Woolworths or West Ryde Railway Station. We have service loan cars for a fee, but can also collect cars from local fleets or businesses to save you time. Early bird drop off is available. At Ryde Toyota we provide you with a relaxing environment to drop off your vehicle or wait for your service / repair to be completed. 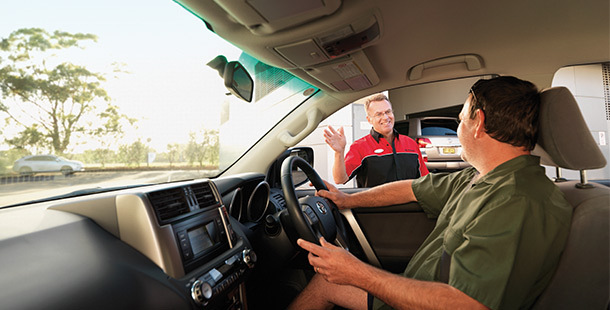 The professional team at Ryde Toyota knows your vehicle inside and out, so if you need your car serviced, speak with our team or book a service online. Each model of Toyota is unique. To find out how many capped price services are included for a particular model, please contact the team at Ryde Toyota. If you have questions about the time periods in which you can claim each of your services, feel free to get in touch with us on (02) 9812 1777. Need more information? Talk to Ryde Toyota today.